'Fortnite' fans have datamined the game files of the third-person shooter and they've discovered some pretty cool stuff in it. Patch notes for "Fortnite's" update V4.3 has just been rolled out as it officially introduced the shopping cart as the game's first ever vehicle. Alongside this new game tweak, are upcoming cosmetics that have been datamined, yet again, from the third-person shooter's game files. 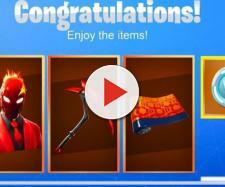 The DieBuddies (@TwoEpicBuddies) have delved into "Fortnite's" game assets for the nth time and unearthed another wave of soon to be released cosmetics in the game. A total of 18 new outfits have been dug up and it is believed that some of them will be released anytime soon. Take a look at some upcoming @FortniteGame Emotes. In line with this, Two Epic Buddies also discovered a couple of loading screens for seasons five and six. 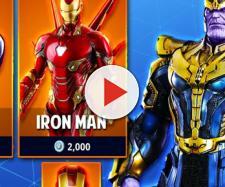 Be reminded, though, that the prices of these datamined cosmetics are still subject to change. Meanwhile, the abovementioned V4.3 update has brought in quite a number of new items, bug fixes, and quality of life improvements in "Fortnite." The most notable of them all was the introduction of the Shopping Cart in the game's Battle Royale mode. The mushroom is also a new item in the game, as it gives players five shield up to 100. The new foraged item can be found in shady wooded or swampy areas of the map. The latest patch also announced the return of the Blitz LTM as it now has faster storms and more loot to collect. 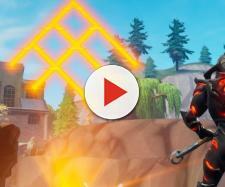 It further explained that the game mode has been updated with all the weapons and items that have been rolled out in "Fortnite" BR since Blitz' last release. Teams of 20 V2 was also revealed to be making a comeback as the LTM will now have separate buses for each team, not to mention that chests and supply drops spawn extra ammo and consumables. Check out a video about the game below.